And why shouldn’t we be? 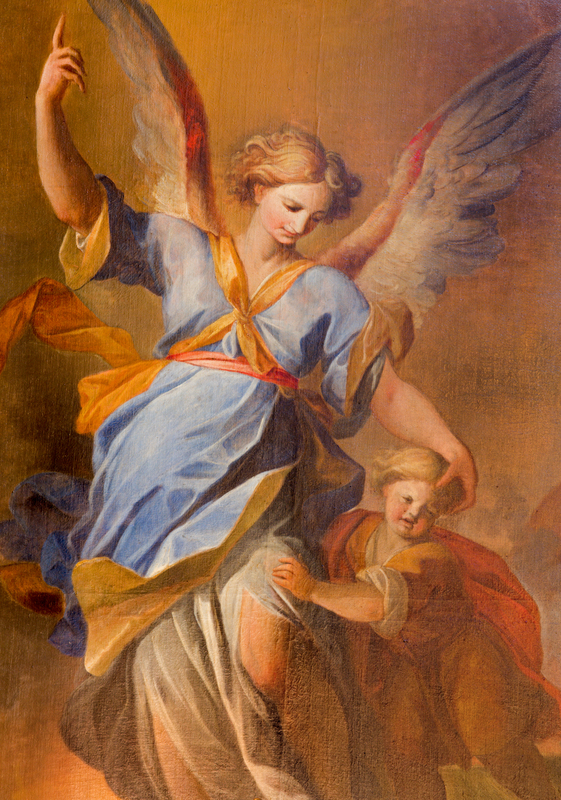 VIENNA – JULY 3: Guardian angel with the child paint from side altar in baroque Jesuits church from 18. cent. on July 3, 2013 Vienna. Angels have been a mystery that the known world cannot explain. I began a journal a couple months back, during my meditations. Nothing too special about that, right? Well, in this journal, I asked the angels for guidance about wealth. As a result, I put the guidance together and formed my new book: Angel Guidance for Wealth. I was thrilled and excited to share this with people. Here is a sample of guidance I received. Everyday hold a picture in your heart of what you desire. Not the absence of that which you desire, but see yourself living with it, holding it, and walking in it. When you pull that which you desire into your heart, and let love flood you, it will start coming toward you at a higher rate. I know it feels slow at times—but the more you pull it toward your heart and believe you have it, it will come rushing toward you at a higher paced rate. Believing is the key to prosperity in your life. I know you’ve heard that before. I know you’ve heard that you need to try affirmations, and while affirmations have many good traits, you must also hold the picture inside of you that says—I have it. Some may scoff at your living-it-right-now attitude, but pay them no attention. I hope you enjoyed this guest post by Z.Z. Rae! FREE book is available for only a few more days!